Established in 1908, The Federal Bureau of Investigation (FBI) is a national security organization. It fulfills both the law enforcement and intelligence responsibilities. 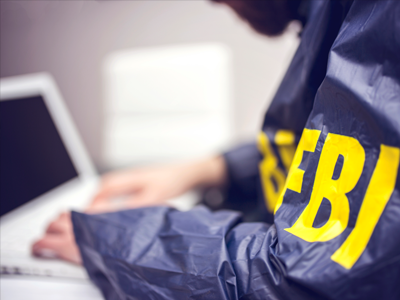 The FBI’s primary goal is to defend and protect Americans against foreign intelligence and terrorists threats, enforce American criminal laws, and help American as well as foreign partner agencies in fighting crime.The FBI investigates high profile crimes, terrorism cases, and foreign intelligence threats. It recruits highly talented and qualified individuals from all backgrounds who can become a part of its operations. The job of an FBI agent can be dangerous and challenging. You must submit an application online. This application should reflect your skills, abilities, level of education, and background. The agency will use this information to determine your competitiveness and eligibility. This is a test designed to measure your skills and abilities. The test will comprise of three parts: logical reasoning, biodata inventory, and situational judgment. You will be given three hours to complete the test. In this test, you will be required to answer 13 standard questions. The interview is usually conducted by a panel of special agents. The main purpose of this interview is to judge your verbal communication skills, organization and planning skills, interpersonal skills, adaptability skills, critical thinking and decision making skills, and integrity. You will also have to pass a vision test, hearing test, and undergo a health review. Once you have cleared all tests and requirements, you may be enrolled in a 21-week training program at the FBI academy. This training is a mandatory part of the induction process and all FBI agents must go through it. The program will cover intense physical training, hands-on law enforcement training, and academic learning. As a new agent trainee, you will live on-campus where you will have to follow a strict code of conduct. You will be given firearms training and defensive tactics training. Classroom learning will include topics related to investigation and law. It can take you as long as 5-6 years to become an FBI agent. After high school, you will need to spend 4 years in college to earn a bachelor’s degree. Apart from this, you will spend an additional 6-12 months applying and training for the position. The process may be delayed if you fail any test or fail to meet the requirements set by the agency. Upon graduating from the FBI training academy, you will be assigned to a field office for your first assignment. The minimum income for new special agents is $61,100; the income level will vary, depending on the region and your assignment. You will also receive other benefits such as insurance, sick pay, and a retirement plan.